You see it all the time on social media: people bashing western pleasure horses, people bashing people who trail ride instead of showing, Hunter Jumpers sticking up their noses at the western “cowboys” and twitter personalities who gain followers from making fun of random people they may not even know. This is cyber bullying. I get so sick of looking at it day in and day out on social media. Since when did the horse industry become a place of cruelty and cutting absolutely everyone who is a touch different from yourself down from the safety and anonymity of a computer screen? On the subject of the crazy western pleasure debates all I have to say is everyone has their own opinions and preferences. Just because you do not agree does not give you the right to cut them down and call it cruelty or call the horses “crippled” when they are just doing what they are bred to naturally do. I personally love a good western pleasure horse like no other; however, I want them forward with a natural, level headset and not overcanted; I want them to look like they were born doing this and want to do it. I have a mare that can lope all day long just as slow and simple as could be; it is natural to her and that is a thing of beauty. What bugs me to see the horses SO shut down, TOO low in the neck and loping at a 90 degree angle down the rail and winning that way. I ask that judges take a closer look at the rulebook, what standards the associations have laid out and reward the horses and riders that are riding to that standard. I applaud Jaime Dowdy and Its A Southern Thing for taking a stand at the AQHA World Show and riding off the rail, forward and looking like a rockstar; thank you for taking steps to improve that part of our industry. On the subject of hating those who ride a different style than yourself; who flipping cares???? We all love the same glorious, four-legged animal that I believe is a gift from God himself. Whether they trail ride, jump, do western pleasure or just stand in a pasture looking pretty, they are all horses and we are all horse lovers. I personally have ridden paints my whole life but find it very fun to get on a Hunter Jumper or Dressage horse every once in a while just for a change of pace. Horses are horses and I find each and every one of them beautiful and magical because I just love horses. Respect everyone no matter what discipline or style because it is their choice and what they enjoy and there is nothing wrong with that. On the belief that AQHA horses are far superior to APHA horses I have one statement: APHA horses are cropout AQHA horses that were born with too much white. When they could not be shown AQHA, they formed their own association for the cropout horses with too much white, APHA. Therefore paints=quarter horses from the basis and the lineage. They are the same horses, just different hair and skin patterns. I will get down off my soapbox now. 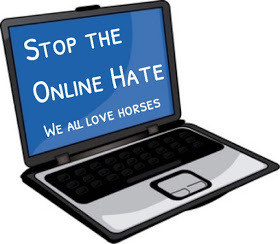 I just can’t stand to sit here and watch social media be used as a vehicle for cruelty and cyber bullying inside this relatively close-knit horse industry. We are all bound together by one common bond: a love for all things equine. 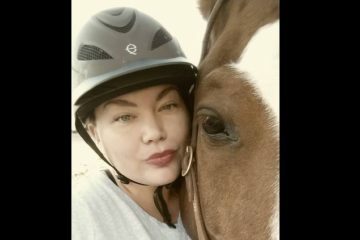 We can either join together and be a big family who supports and respects one another; as most of my equine “family” and friends are. 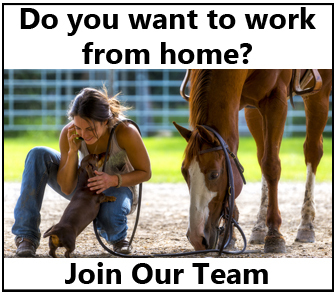 This is the situation where social media is used as a tool to keep in touch with friends from other states, share photos and stories about our precious ponies, to sell horses and tack, exchange ideas, educate and keep up with all the news; in that form, social media is amazing and a wonderful addition to the horse industry. I much prefer this use of social media to the unnecessary bashing cruelty that happens all too often. All I have to ask those pathetic people is why? What good is this doing? What is the purpose? All this does is make you feel bigger and better than others and that is not good enough reason to cut people down through a computer. It does NO GOOD. Instead of sitting around on a computer bashing people and talking big; get your booty out to the barn and put in some blood, sweat and tears so that your showing and riding does the talking and you won’t have to hide behind a computer screen and cut other people down to make yourself feel cooler and better. If you do your homework and leave it all out in the arena, chances are your results will make you feel so good that you won’t need to bash others in order to make yourself feel cool. 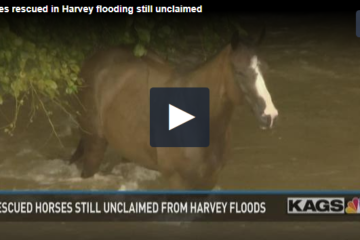 Let’s remember that we are all together for a common reason and that is we love horses…. is it too much to ask to treat each other with respect and common courtesy over the internet and not purposefully harm each other? Written By, Brandy Smith. Editors Note: The Horseaholic is a place for people from all breeds, disciplines and opinions to enjoy. Let Share this on Facebook if you agree and want to help spread this positive movement! I’ll sit behind my computer and bash…this article is full of hypocrisy. Plus, the horse community has never been close knit. That’s the problem. Your right, it is a problem. So stop bashing and help make the horse industry more close knit and less hateful. Problems do not get solved by anonymous bashing. Also: where do you see this “hypocrisy”? Examples would be great. Oh the irony. A very well written article on cyber-bullying gets cyber bullied for addressing cyber-bullying. I, too, would like to see this hypocrisy you speak of. I love your commentary. Too many critics and couch equestrians out there. The horse industry has long been a place of cruelty; mostly, at the expense of the equines. Pity we saved our ire for the cruelty targeting the rider rather then the horse. The industry still has many who think nothing of demanding more of these beautiful animals than they can give freely. That said, I agree with the second-half of the article…have the dignity of putting your name to your critique. Amen to your vent! I really believe all the trashing of different breeds of horses is done by people who have no idea about the different gaits of different breeds much less about the characteristics of the different breeds, proper training methods, etc. They spew the propaganda of animal activist groups like hsus use to misinform people. Just this morning I read one of these misinformed bashers tearing up a dressage horse that was in a trot. 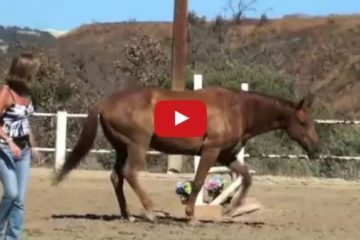 The basher just knew the poor horse was in pain and was going to fall over cause how it was walking or rather to them trying to walk. Enough people! Go to a barn Cyber-Bullies and LEARN THE FACTS, NOT PROPAGANDA AND MISINFORMATION! Very good article This is why I prefer my horses to people. They don’t lie, cheat and if they don’t like my they show me to my face.